Wellness Uprising’s Spirit Salon is a gathering where our Practitioners, clients and the community come together for an afternoon of learning, service sampling, and replenishing spiritual tools and supplies. It’s a safe and welcoming space to gain information about revolutionary self-care, where you give to, nurture, and support yourself before you attempt to nurture, support, or care for others. Admission is free. 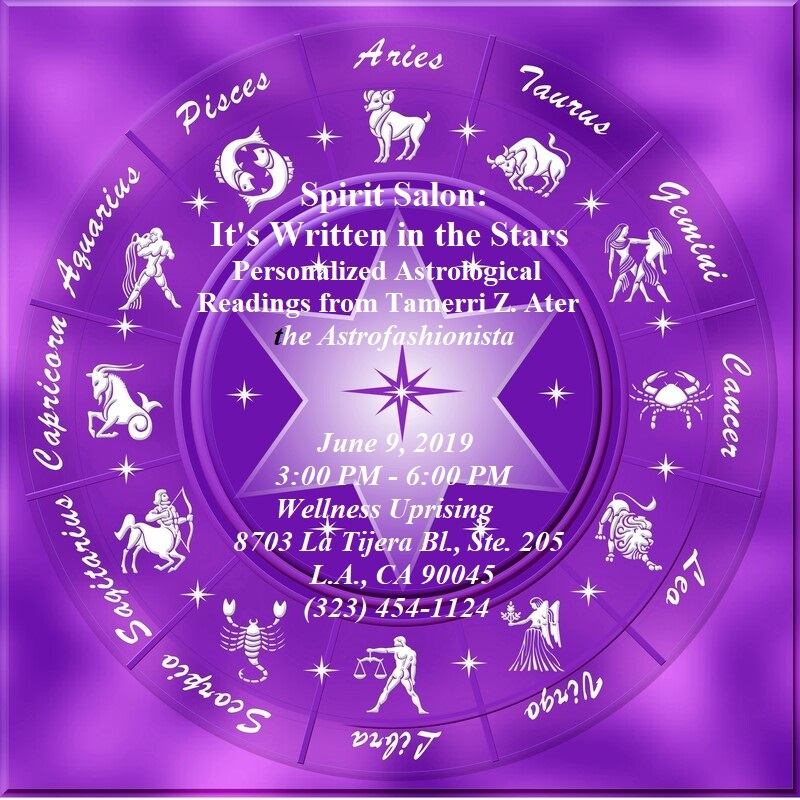 Join us as we welcome the Astrofsahionista, Tamerri Z. Ater, for an afternoon of astrological insights and charting. Tamerri will offer practical advice on how to use astrology every day to maximize success in a fun and relatable way. Order your natal chart in advance and request a personal, one-on-one astrological reading and consultation (see pricing below). RSVP to Rhonda via phone or text: (323) 454-1124.